I downloaded this app thinking it would tell me something I didn't already know, that certainly was not the case. Apparently a drink widely accepted by the medical field as beneficial to human health was listed as "avoid". Milk is a great source of protein. My sister is a doctor and she suggest 3 servings of dairy a day to support bone health an protein consumption. I think this app is horribly wrong and a huge waste of money. Do not buy! This does everything that I need it to. I can easily refer to the app in the grocery store or anywhere I want or need to. It has info for all blood types, and offers different sort options. For example, you can sort by blood type, food type, or by how beneficial it is!! Highly recommended!!! Very cool although a few discrepencies between the app and my book. Nothing major though. Great guide for shopping. Great ready reference for shopping, eating out, meal-planning, ingredient checking. This app is amazing! 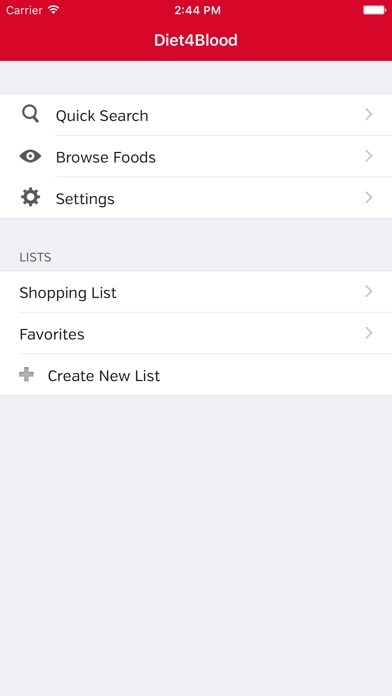 Most importantly, the app is very user friendly--you can search by inputting a food item name, by blood type, by category, and you can even organize categories alphabetically or by rating (beneficial, negative, or avoid). This app comes in very handy for me as an individual who wants to check my foods; and it is wonderful if you have a family that has multiple blood types that you take into consideration when shopping or cooking. This is a must have app for anyone trying to follow the BloodType Diet. As a naturopathic doctor I both follow the diet and recommend the blood type/genotype diet for my patients. This app is excellent !! I use it all the time. I have found that it helps me keep my Inflamation to a minimum. For me there is no doubt that Dr. DaDamo is the leading authority on diet and disease (or health). Dr. Steve Nenninger ND NY. I thought that there would be a more comprehensive food list and was disappointed. I wish I could get my money back as I will not be using this app at all. No sirve para iPhone 6. Se bota la aplicación. So handy ! At the grocery store you can plan your meals. Love this app!!! Save your app $. In fact save your book money if this book lists all blood types as unable to eat pork of any kind I believe it was written for people of the Jewish faith. Really?!? No one is supposed to eat pork? The "other" white meat! Tell that to the pork industry! This was worth $1.99 just to have my blood type list readily available when I am grocery shopping or out to eat. Much easier than referring constantly to the book. It even has some items that are not in the book, such as chocolate. Thanks! I like this app. It is simple to use and follows the Eat Right 4 Your Type program. I only wish I could print out a list of items that I could take to the grocery store on a regular basis. Definitely a fantastic app! It's so convenient when you'd like to know what you can/cannot eat. If you're trying to stay healthy this is the way to go. Very good app. Some improvements I suggest: couldn't find flax seed oil; could include list of natural remedies for common simple conditions like in the booklet version, like headache and soared throat. What a disappointment. I don't recommend it! I like the idea of this app but I wish it told you why it was beneficial or to avoid it. This is a great resource and is certainly worth the price of entry!! It is very simple and convenient to use, and it's great to have access to this database without carrying the book around. 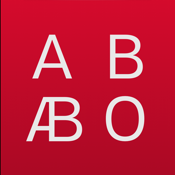 I would like to see the database become more elaborate over time, as not all of the aspects of blood type diet are represented within the app, but it is a superb resource none-the-less!! Would love to see the next upgrade with each listed item accompanied by its image for reference and being able to swith to other languages. If it was free then it would be fine. 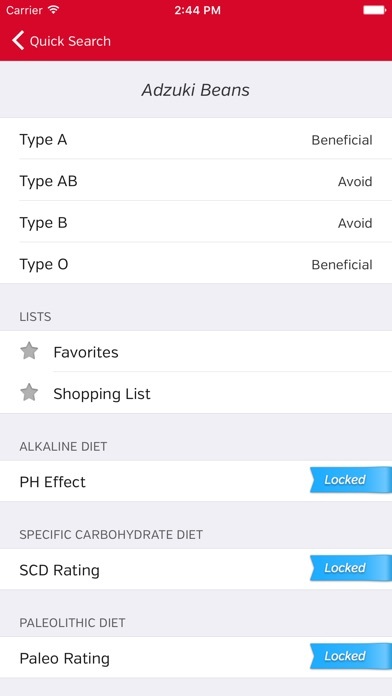 The app really isn't anything more than a list of the neutral/beneficial/avoid foods for each blood type. Nothing to click on or expand to say "why" or "alternative choices". There's LOTS of room for improvement. Not a horrible app, just not really worth purchasing. Save your money and just refer to the book until something better comes along. I just got the book, and WOW! It's a revelation page by page. The app fits right in to help shop and stick to the recommendations! Buy this app, check out the book, and live your live to the fullest! Perfect reference! For those of you wanting more detail a simple google search will answer all of your questions. LOVE the ease & simple to use layout. Beats even the little cards I used to take to the store, faster, simpler, more extensive and searchable AND I can always find my iPhone! Options do no agree with author of diet. Lost all credibility when I saw sweetbreads listed under grains!?! Don't bother. This is great. We're on vacation and using it constantly. Very handy. Disappointed with the app. Very basic foods, not meant for the everyday person, or the person wanting to learn. Needs work! It would be better to understand why foods and supplements are beneficial For you, also it would be nice to understand the way they work in the body. I mistakenly downloaded this, instead of the d'Amado version. Waste of money -- no features and you have to keep choosing to get the lists to be in order good-to-bad. Nice app to have handy. Wish it had recipes. 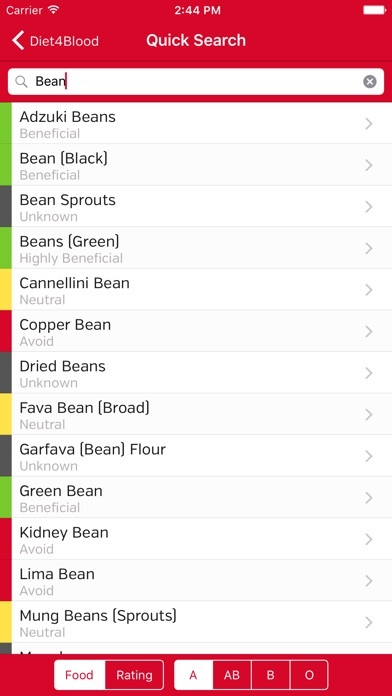 Also would like recipes for mixed families like A and O.
although this app just gives the list of the recommended food for each blood type, it's very handy when doing your grocery shopping. we love it!! There is no nonsecretor info which means that this is worthless for me. From the previous version, this one is a monumental upgrade. I love the colors (red, yellow, green) that go along with the rating (visually helpful on the left side). Avoid, neutral, beneficial and highly beneficial makes it even better to choose among the different food groups. Overall, an excellent improvement on the user interface. I was already familiar with the BTD. I have the other app and even though that one is more educational, I like this one better due to the Favorites list. An absolute must for reference at store or restaurant. I co-use it with the pH list for more benefits. Thanks. I love this app, I once was very strict about eating according to my blood type, but got away from it for a time, now through this app I'm back on track. I like it a lot, helps me make great food choices n all of the foods I love, n just so happens I can eat, how great! I would love to see it expanded more! Thank you for a great and workable app!